It begins with the change of focus, of paradigm, caused by viewing “Shakespeare” as Oxford rather than as William of Stratford. In the traditional view, the Sonnets tell a “love story” that’s either platonic or sexually active. “Love story” is the only possibility open to the traditional authorship, if one accepts that the poet of the sonnets is recording events involving real individuals in real circumstances of his life. In this perspective the dark lady of Sonnets 127-152 cannot be the Queen; our perceptions are limited by our prior assumptions. In the traditional Stratfordian view the triangular love relationship is based, however, on no biographical or historical evidence that makes sense of the Sonnets as recording a real-life story. No amount of contortions can help, which is the main reason why the whole thing has been such a mystery — the true story has been a mystery because, within the paradigm of the orthodox author, there’s no story in the first place – it doesn’t even exist! Once Oxford is suggested as the author, however, new possibilities become apparent. Much of his early poetry, perhaps all of it, is about Elizabeth. His letters are filled with her presence. 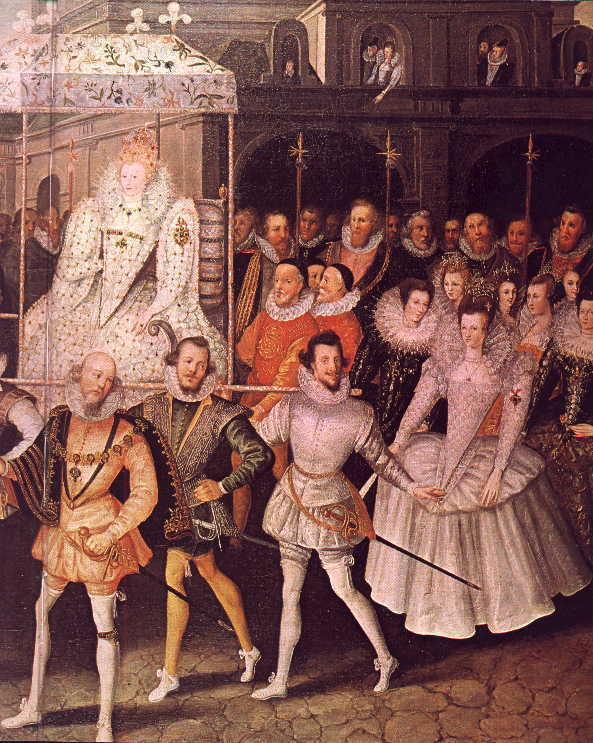 He was a nobleman of her Court and she was his chief focus as a courtier and servant of the state. And that applies to Southampton as well. 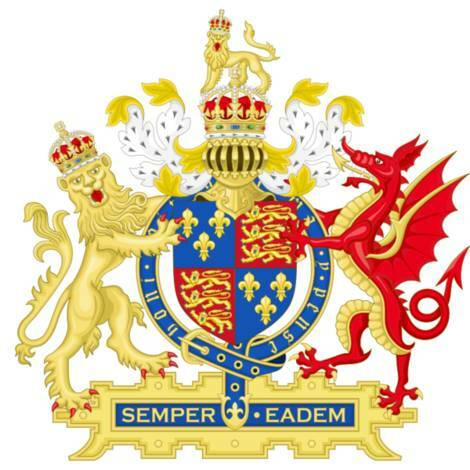 It does not apply at all within the old paradigm, but when Oxford is seen as the author we must face the reality that his whole world has revolved around this remarkable female monarch. Postulating Oxford as the author, I see the line in Sonnet 76, “Why write I still all one, ever the same” as not only the reflection of Southampton’s motto “One for all, all for one,” but also as indicating Elizabeth’s motto “Semper Eadem” or “Ever the Same,” which is exactly how she wrote it in English. This is something Edward de Vere knew and could never forget; he could not write “ever the same” and fail to realize he was identifying the Queen in that line as a prime subject of these sonnets. It was deliberate on his part. And we can read him stating that he writes always about just one topic, which is always the same – Southampton and Elizabeth. A big trouble is that many Oxfordians, even most, have accepted a change of authorship paradigm without accepting various other changes that flow from it. I suppose we could come up with many analogies for this situation. Imagine, for example, switching the scene from New York to Chicago and yet still trying to hold onto the Empire State Building. 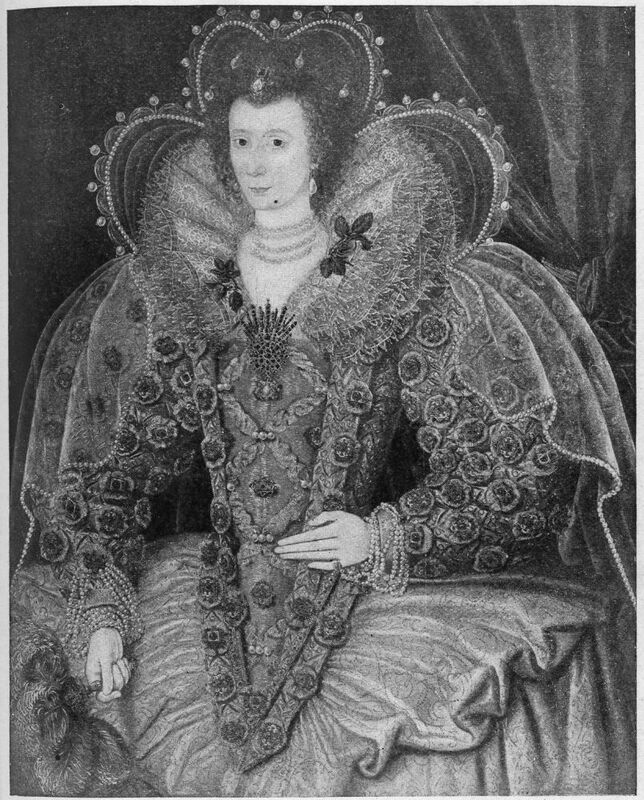 That’s what so many of my colleagues seem to have done – they’ve switched the author from William of Stratford to the Earl of Oxford, yet are still trying to view the Sonnets as recording a love story involving some “mistress” or dark lady – of which the candidates have ranged from Anne Vavasour to Emilia Bassano Lanier to Oxford’s second wife, Elizabeth Trentham. 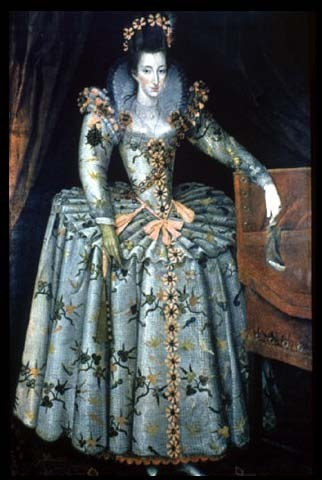 We could deal with each of those candidates, but I’d prefer not to waste time (here and now) on that negative task; but I challenge any Oxfordian to match up a real-life story involving any of these or other “dark lady” candidates with the sonnets themselves, fully and coherently. All attempts to match up real-life circumstances and events with some such love story are doomed to failure, if only because there’s no biographical or historical evidence to support those attempts. The timing, the opportunities, all must be stretched and twisted, but even then without success. Another reason they don’t match up is simply that the language, thoughts and themes of the so-called dark lady sonnets make no sense in the “love story” paradigm. Those Oxfordians who remain even partially stuck in the orthodox viewpoint are doomed to make crucial errors of interpretation; there’s no way around it – as the saying goes, the shoe won’t fit. 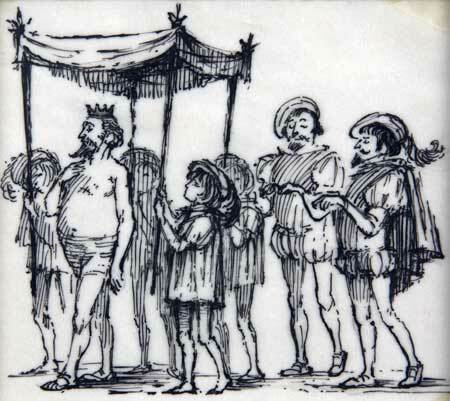 The emperor in his new clothes -- not! It’s like the story of the emperor wearing no clothes – being unable to see and/or admit something that’s right in front of us. 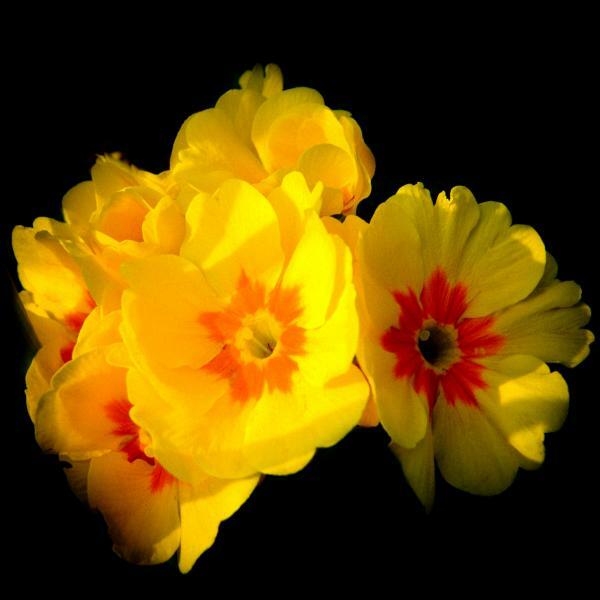 A big clue to Elizabeth being the dark lady is Sonnet 25, in lines that include the Marigold, one of the Queen’s flowers. 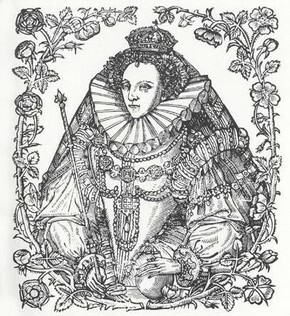 The Sonnets begin with reference to “beauty’s Rose” (1), the very phrase used by John Davies for Elizabeth and/or her Tudor Rose dynasty; they refer to her as “the mortal Moon” (107); and if one is willing to “see” what is there on the printed page, the Queen is all over the place – the dark lady whose point of view makes all the difference. On its face, if you really think about it, the author of the Sonnets cannot be ranting and raving about a mistress because he can’t stand the color of her hair or eyes or skin. 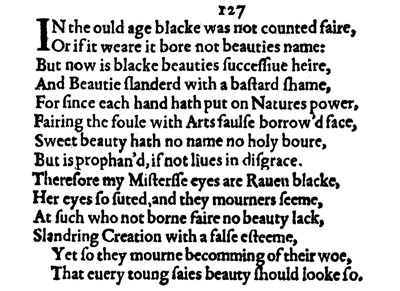 The lines would then be hyperbolic in the extreme: “For I have sworn thee fair, and thought thee bright,/ Who art black as hell, as dark as night” (147) – a statement that simply cannot refer to the woman’s physical coloring. The dark lady series opens with 127, and we have to get to line 9 to read, “THEREFORE my mistress’ eyes are raven black,/ Her eyes so suited, and they mourners seem,/ At such who, not born fair, no beauty lack,/ Sland’ring Creation with a false esteem.” This is a direct statement from the author that the blackness of his mistress’ eyes is a metaphor. I think it’s fascinating, how we tend to hold onto the old ways of seeing things, even after having made a tremendous (and even courageous) shift of perspective by accepting the possibility of Oxford as Shakespeare. (I must follow-up this little essay with similar thoughts about the so-called rival poet, whom many or most Oxfordians continue to view as a real individual rather than as Oxford’s pen name “Shakespeare”.) The old habits of old paradigms die hard.